The Ellen Wise collection on display for the SS19 Couture Fashion Week was one of our favorites and definitely gets a nod as one of this year's NYC-ASE "Fashion Week MVP". The collection was elegant, classy, and stylish in every aspect. One could most certainly describe these designs as "timeless"
The models for Ellen Wise did an excellent job of working both sides of the media riser to ensure the photographers were getting a clear shot. These were by far some of the best shots of the evening given the location from where we were photographing. 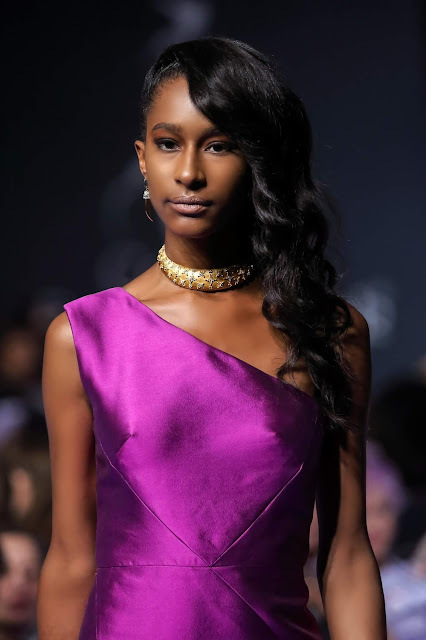 More photo editorials to come from other New York Fashion Week designers se so please stay tuned to this website and U.S. Press Agency News for much more coverage.